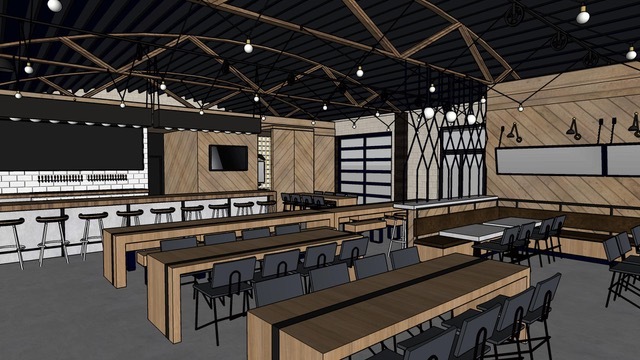 In the belly of a former auto garage on 33rd Street in East Sacramento, husband-and-wife team Dan and Melody Thebeau are crafting an industrial-themed tap house and 3,800-square-foot beer garden set to soft-open in late December, with a grand opening planned for the new year. The bar will pour 24 taps from the likes of Fieldwork, Track 7, Bike Dog and Moonraker, along with ciders from Two Rivers and bottled brews from Colorado-based Avery Brewing Co. and San Luis Obispo’s Tap It Brewing Co. Under the half-dome roof, guests will be able to play card games on communal tables made with oak sourced from 100-year-old water tanks in the Sierra Foothills, chat around a central fire pit in the beer garden, and nosh on sandwiches, pasta salads and charcuterie provided from nearby Compton’s Market. The Thebeaus hope to also host local food trucks at the brewery from Thursdays through Sundays once it opens.